Do you want to increase your Amazon ranking? Well, we all want our products to rank on the first page of Amazon. What happens when a customers land on the website looking for a specific product? Their basic goal is to come, look for the product that they’re looking for, find it and buy it right away. After that, the only question left here is – which seller do they buy it from? Let us just face the fact that Amazon is the future and continue to break into different markets and revolutionize the industry. “Amazon has about 310 million active customers”, according to N Channel. Every eCommerce marketer who’s been selling their products on Amazon tries their best to make sure to make the visibility of the products increase which directly increases the sales. More potential customers will find your products when searching the site. To rank successfully on Amazon, it’s important for sellers to understand how Amazon’s search algorithm (or A9) works. If you want to know more about A9 or Amazon’s Ranking Algorithm, you can read it all here. Well, every eCommerce has been looking for the options for Amazon ranking products. This blog lays down the recommendations I’m going to make below are just that, recommendations which are tried and tested by me. The above image features a long listing title with all the necessary details that need to be mentioned if you want to rank on Amazon. In our experience, the keyword order and keyword choice are the two factors that influence the ranking and sales on Amazon. So, how to optimize the Product title on Amazon? Make use of Magnet to look for the most popular keywords for your product. Have a look at least 2 or 3. Next, use the Keyword Inspector to do an extensive research about the titles used by your competitors to make sure that you are in sync with the others. Try to pick a competitor in the top three spots with the most reviews. This makes sure that the sellers have been there long enough to build a reputation and can provide more data. Now, that you have all the information possible, combine all the data, remove the terms that are not necessary. Now, you can use the product title. The product description isn’t a way that directly affects your ranking on Amazon. On the contrary, the Amazon ranking will definitely be affected as the descriptions will be indexed and will make your products more visible. As the title mentioned, the product description should be able to convey all the possible details that you intend to pass on to your customers. In fact, the description is the time when you can sneak in your brand and product with the additional keywords in the same. In addition, you must not forget to place a strong and catchy Call To Action in the end. To be in sync with Amazon, Buy Now and Add to Cart. 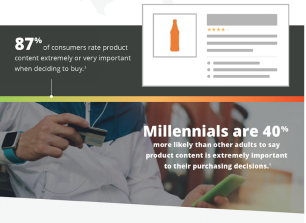 According to OneSpace, about 87% of consumers rate product content or product description extremely or very important while deciding what to buy. It is worthy of you to put in that extra effort in writing the product page copy. Not only will it increase customer engagement, but it will also enhance the conversion rate. Likewise, a product description which isn’t up to scratch could mean you lose sales (to a competitor) or result in negative buyer feedback. Have you seen the bullets on the product page on Amazon? Essentially, the content that doesn’t find a place in the product title, you can actually put that in the bullet points. The bullet points on the product page on Amazon are the additional information that your customers should know and benefit in your ranking. So, how do you get the most from your bullets in Amazon ranking? Use the keywords that you missed in the title: So, you’ve optimized your product title but couldn’t afford to fit some of the keywords. Now is the time you can use the keywords in the bullets on the product page. Skim your content in the bullets: You know this is the age where you’ll find blogs and articles with “Top 5”, “3 Reasons”, and so many others. This encourages the readers to read but when you have lengthy content on your Amazon product page, nobody will. We recommend you to trim/skim the content in order to make it readable. The customer reviews are the holy grail for Amazon ranking. It is needless to say that the number and the positiveness of your product reviews is one of the most important aspects of Amazon ranking. In return, how do you respond to the reviews is also an integral part. The first product in the results has the highest number of reviews and a superb rating as well. As you can see, it also is the best selling one. The second product in the list more number of reviews but slightly lesser rating. However, it too is the bestselling item and ranked second. The third product has a lesser number of reviews in comparison to the others but a rating is better than the second one. Hence, it is ranked third. The last product in the list has a lot more reviews than any of the products mentioned up there. However, the rating is lower than the others and is not a bestselling item. Hence, it is last on the list. We recommend you to encourage your customers to write reviews for your products on Amazon and share their experiences in the feedback section to help you rank better on Amazon. There is no written proof that if you are answering all the questions that are being asked by the customers would rank your products higher on Amazon. However, Amazon will show answered questions within a listing along with mentioning how many questions have been answered. It is an indirect method that would be useful and influential for the rankings. For example, if a user asks a quick question related to the product and in return gets a quick as well as useful/informative answer, there are chances that the product will be bought. This helps the number of sales increase, thus increasing where the product shows. The way you optimize the search makes a lot of difference in your product’s visibility and ranking. Making sure the keywords and descriptions you are using are relevant to the search is vital. When you talk about the generalized search engine optimization tips, you know the importance of relevant phrasing of the products. Likewise, when you intend to rank your products on Amazon, you have to use relevant phrases so that the users are able to find their specific items. The customers are not looking for products that are related to what they typed in the search box, so don’t tweak the ads that messes it all up. If you think pricing your products the lowest in comparison to the competitors would help you rank better and increase your sales, you are sadly mistaken. The customers are on a constant lookout for a deal that gets them both low prices and bestselling products. 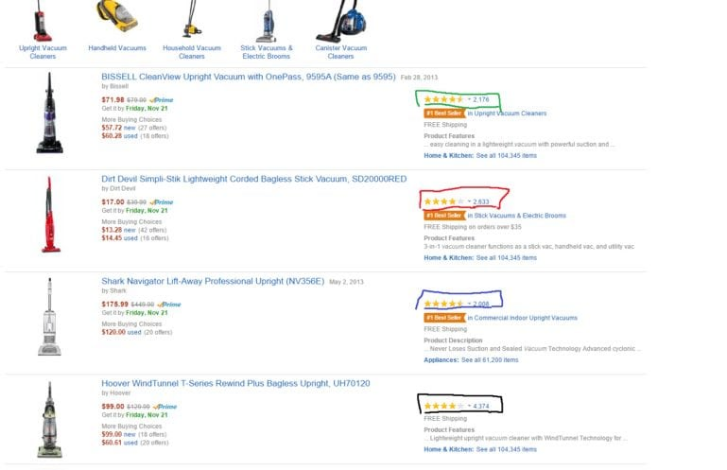 The A9 Amazon algorithm is designed in a way that it often shows which products are priced best within their additional item sections. These are the sections that are on item pages, often found half or near the bottom, and are related to the item you are viewing. The customers can simply add the products they like in the cart and go ahead buy them. For example, if you are looking for laptops some suggested products like mouse, external CD drives and others can pop up. If you’ve got your products priced apt, with some decent reviews, informative answers and more, there are chances you’ll rank higher. If you want your products to rank higher on Amazon, optimize your product listings, add a useful description, encourage the customers to give valuable/true feedback and do more. All the above-mentioned aspects bring visibility to your products improving the Amazon product ranking.